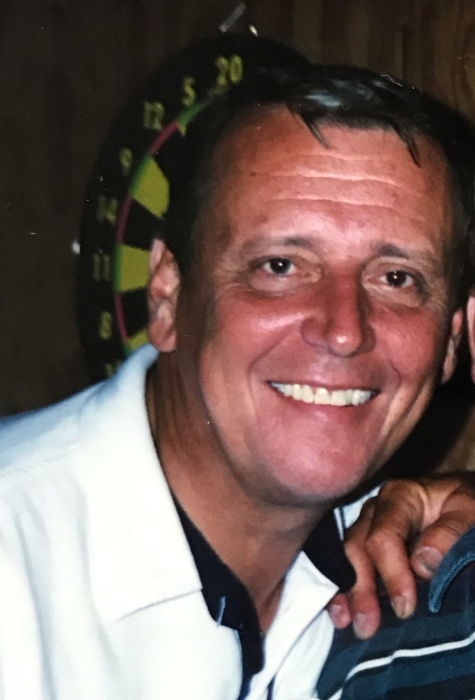 Kenneth F. Hollingsworth, age 71, of Wauseon, passed away on Thursday, March 21, 2019, at the Fulton Manor Nursing Home. He was born on May 29, 1947, in Van Vert, Ohio to the late Lloyd and Roxanne (Louk) Hollingsworth. Prior to his illness, he was in Sales Management at Palfinger Crane. Ken was a member of the former Elks Club in Wauseon. He also enjoyed golfing, skydiving, reading, Wauseon Football,and he loved his yearly fishing trip. He thoroughly loved his job as well. Surviving Ken are Beverly Hollingsworth; children, Tim (Abby) Hollingsworth and Kelly (Randy) Brock; grandchildren, Jordan (Alexis) Brock, Quincy (Jordan) Lauf, Hayden, Riley, and Kenneth "Crew" Hollingsworth; great-grandchildren, Claire Bost and Ryan Brock; sister, Pat Mauk; and sister-in-law, Monica Hollingsworth. He was preceded in death by his parents; brothers, Steve and Kevin Hollingsworth; and brother-in-law, Charles Mauk. A Celebration of Ken’s life will be held on Saturday, May 18, 2019, at the Wauseon VFW, at 4:00 PM. Those planning a memorial contribution in Ken’s memory are asked to consider the Wauseon Athletic Boosters. Online condolences to the family may be offered at www.GrisierFH.com. The Edgar-Grisier Funeral Home in Wauseon is honored with Ken’s care and arrangements. There's still time to send flowers to the Celebration of Life at the Wauseon VFW at 4:00 PM on May 18, 2019.